In 2017, we installed over 100 new telephone, camera, and access control systems. 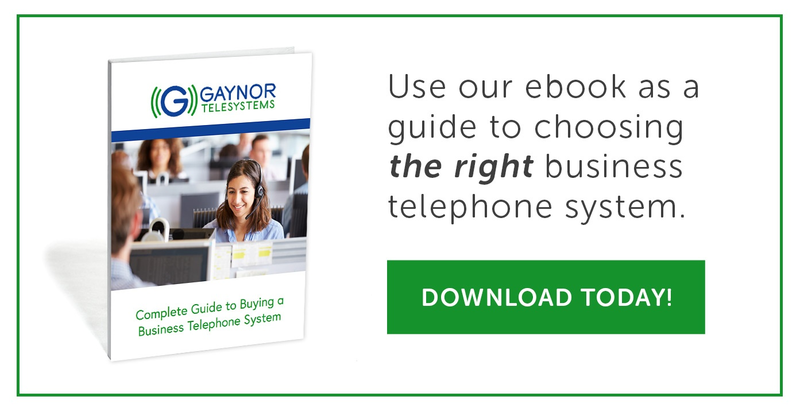 Use our ebook as a guide to choosing the right business telephone system. Let's face it, there's a lot to consider when choosing a telephone or security system. Gaynor Telesystems provides comprehensive business phone system & security system solutions in the Northern California area. We understand this world, and all of its complexity. Let us help you navigate your options and make you look like a genius. "Here at Waste Connections, We have been working with Gaynor since 2009. They have handled over 50 installs across the United States. Not only installing the PBX but assisting with the install of services from local telecom providers. Gaynor is like an extension of my Telecom Support team here." "It has been my extreme pleasure working with you during my 29 years of my employment with Live Oak Unified School District and Sutter County Superintendent of Schools. " "We have always appreciated the Gaynor Team, from Sales though Service (and everyone in between). Rolling Hills has relied on you for all of our business telecom needs since day one and this relationship will no doubt continue. " Over the last 13 years, Gaynor has provided exceptional service, affordable pricing and has always been on time for service calls.